The Evangelical Lutheran Church in its Leadership Workshop held recently at Lae International Hotel pointed out clearly that our nation needs leaders who are visionary and honest. Lack of good governance brings about instability at all levels which also contributes to the degradation of moral values and ethics that are obvious in our communities nowadays. 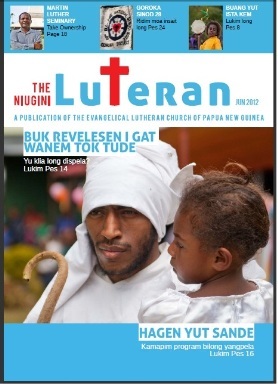 The Head Bishop of the Evangelical Lutheran Church of Papua New Guinea – Rev. Giegere Wenge, condemned the actions and attitudes shown towards the Asian community in PNG in responds to a concern raised by a Christian member who is also an Asian origin. He stressed that such actions are totally wrong, inhuman and devilish and it must be stopped immediately. This is God’s world; we are all God’s people though we may be different in colour and sizes, but we are all one people of God. We should learn to live in peace with one another at all times. We should stand together to fight our real enemy – Satan and all his followers – and not fighting and destroying ourself. Asians are our brothers in Christ. We must not mistreat them as they also contribute meaningfully to the development of this great nation. Rev. Giegere Wenge, while speaking on the issue, further appeals to all Christians throughout the nation to show love and care towards our Asian brothers and all their properties. Don’t take the law into your own hands. If you are not happy about something, report to the appropriate authorities to handle it for you.